Most Australians are attracted to the beauty of the Australian bush. 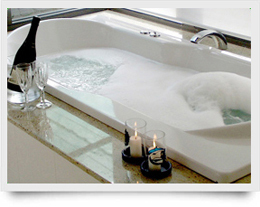 Our aim has been to provide luxury accommodation in bushland surroundings. Stepping outside the door of your private cottage you will be serenaded by the local birdlife. Watch the gentle goings-on of the river from your own outdoor setting. Peace. City dwellers will appreciate the taste of the natural rain water.